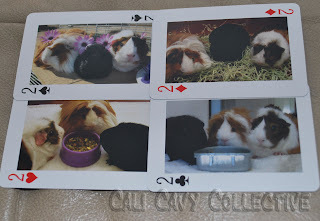 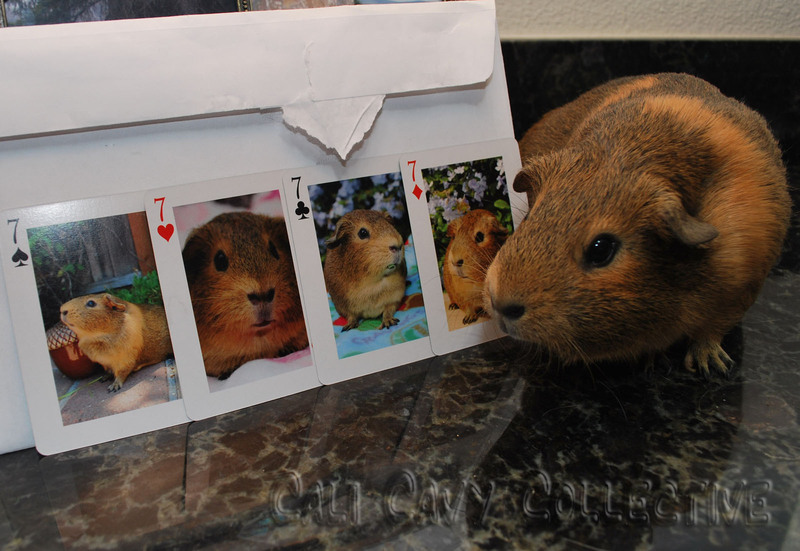 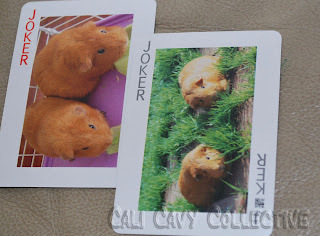 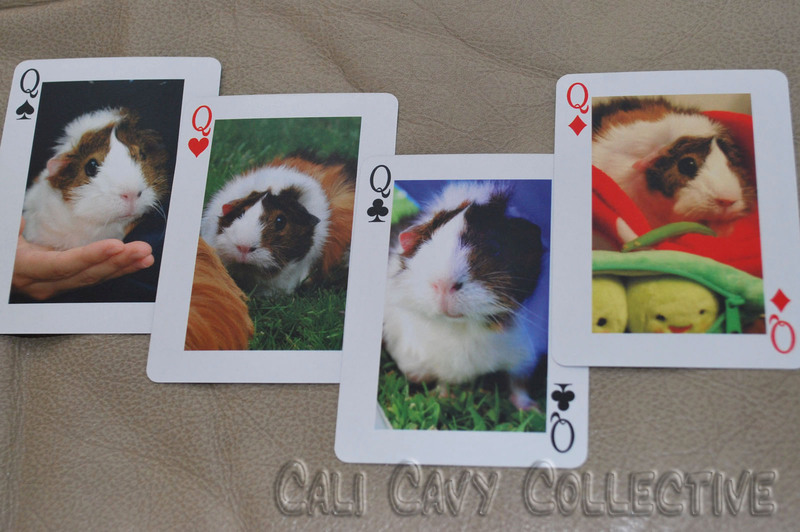 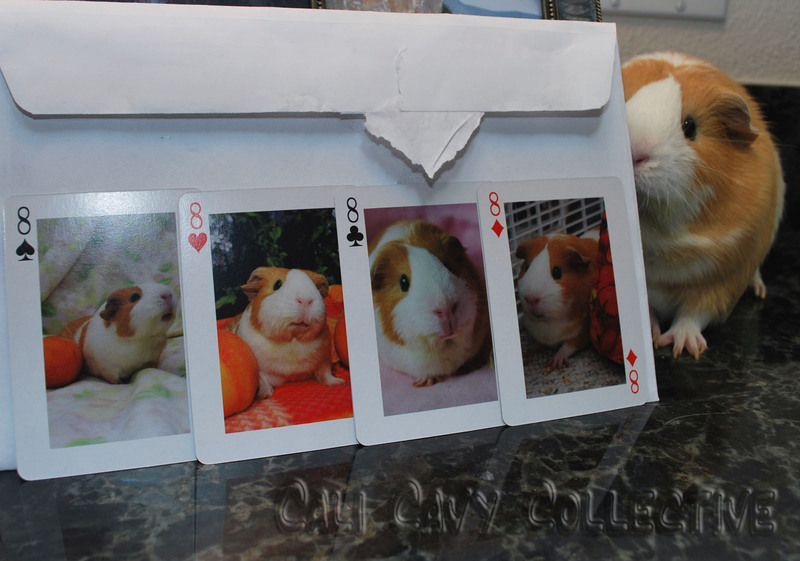 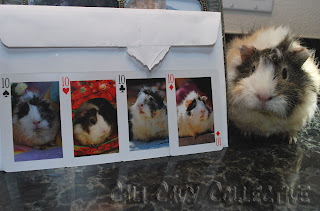 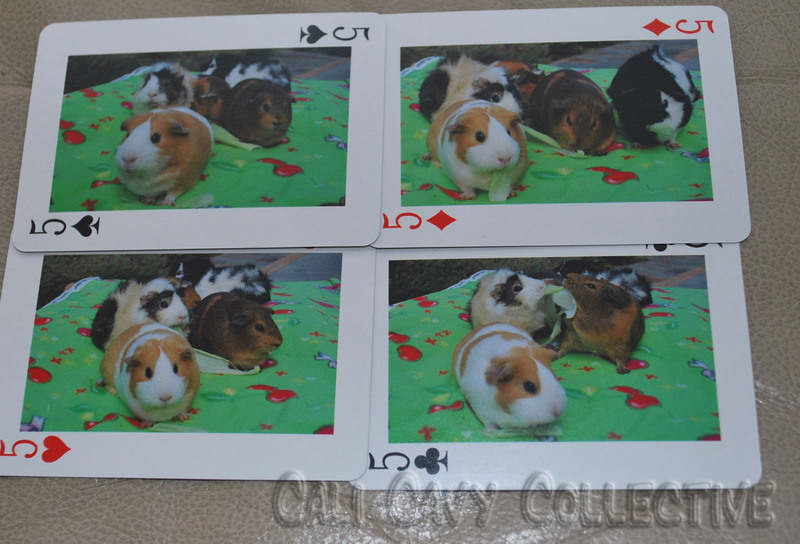 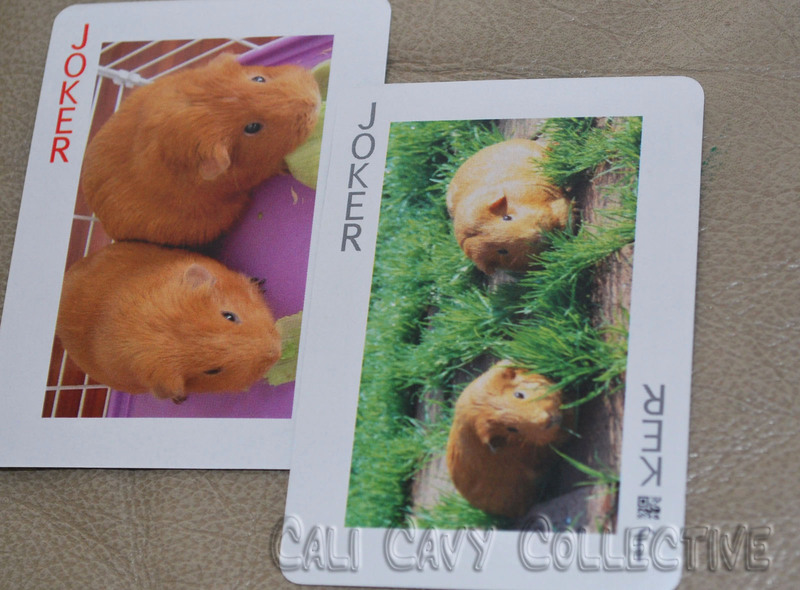 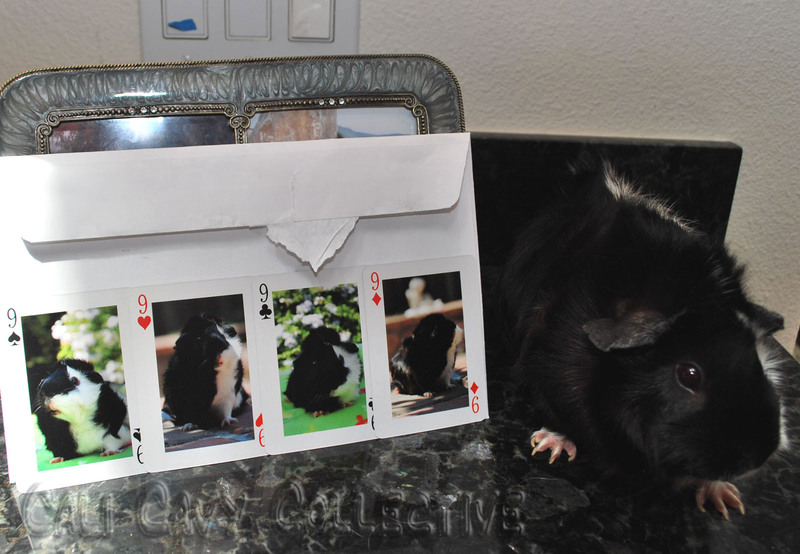 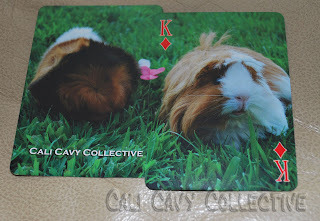 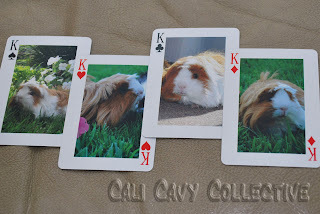 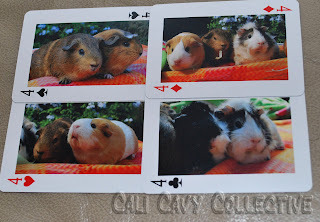 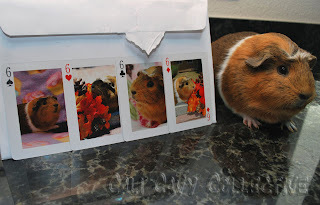 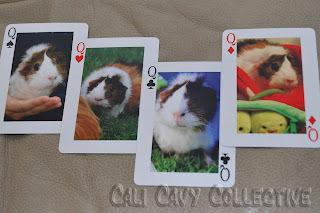 Cali Cavy Collective: a blog about all things guinea pig: Guinea Pig Playing Cards! 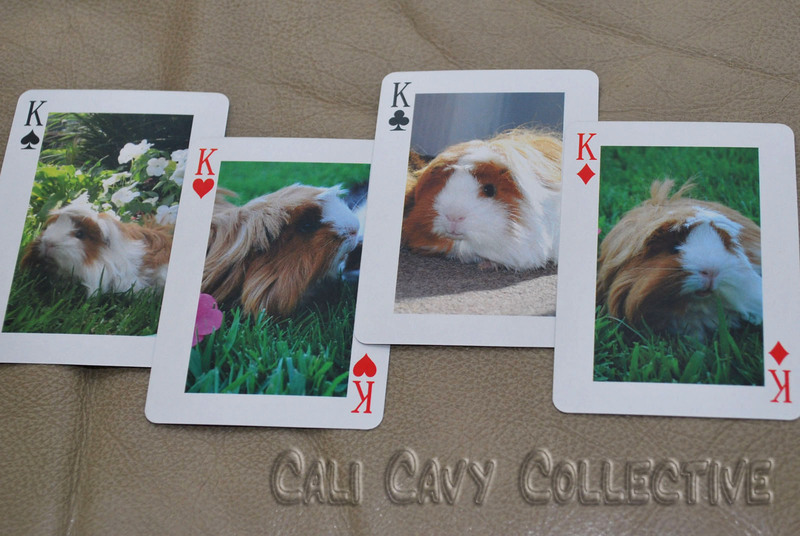 For today, whee are presenting our very own, special, personalized guinea pig playing cards featuring yours truly, the piggies of the Cali Cavy Collective! 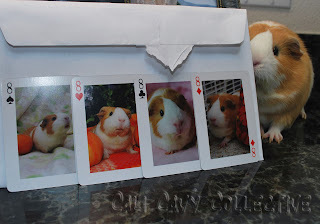 How did this come about, you may ask? Well, as the story goes, a few weeks ago our humans were playing cards next to us while whee were going about our lawn mowing duties. 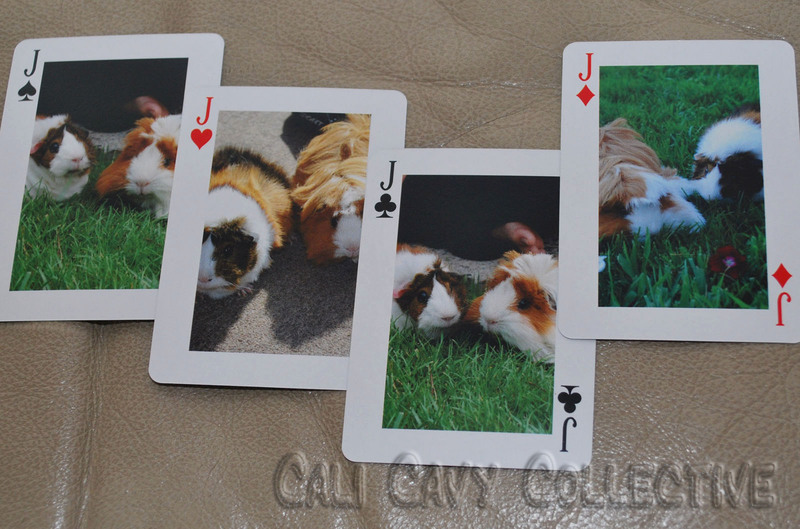 Coppy happened to wander by them and took a look at what they were playing with, which was a boring standard deck of cards. 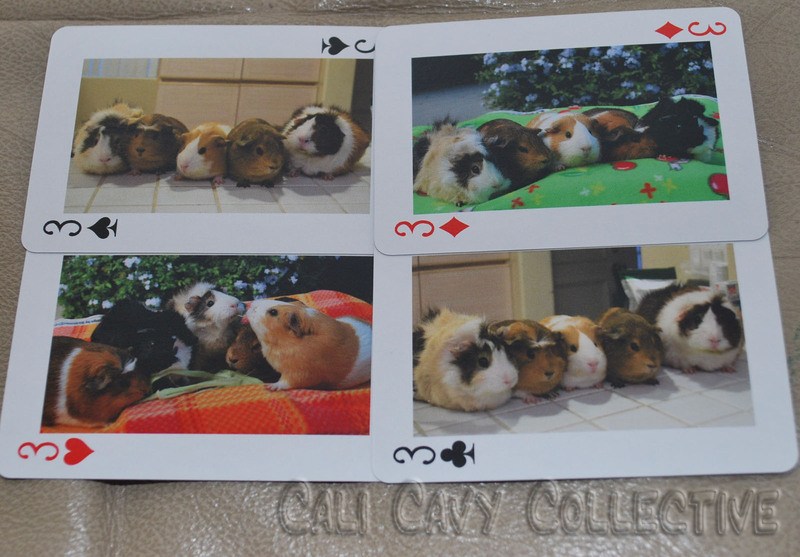 So whee decided to personalize our own deck of cards, featuring pictures of our herd. 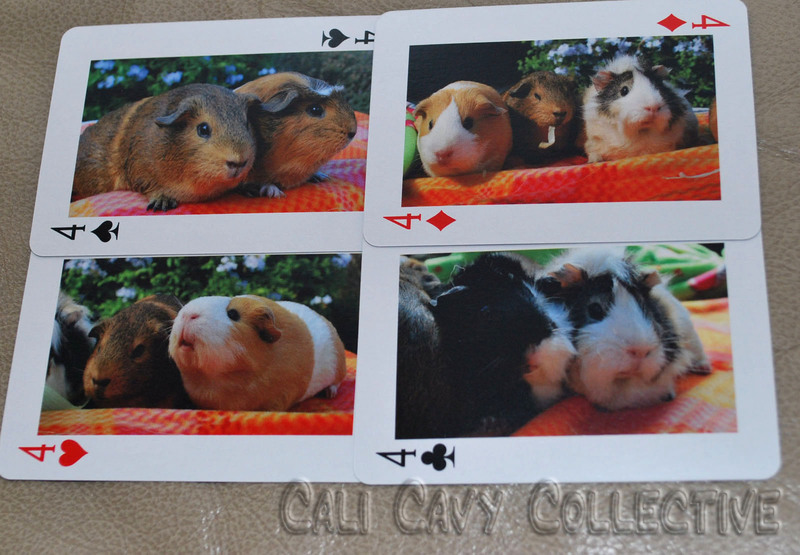 That way, our slaves can think of us whenever they play cards, even if whee are happily sleeping in another room! 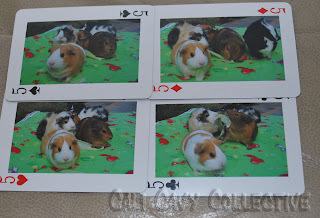 Whee were also hoping that when playing, they would see our pigtures and admire our cuteness, which would hopefully have the desired effect of making them want to feed us veggie treats. 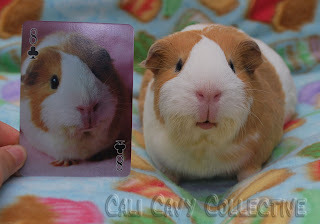 But that is something for another day. 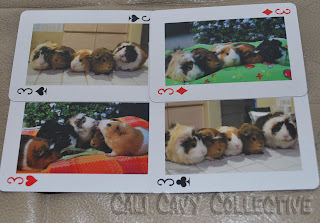 Enlarge the pigtures to see everything up close! 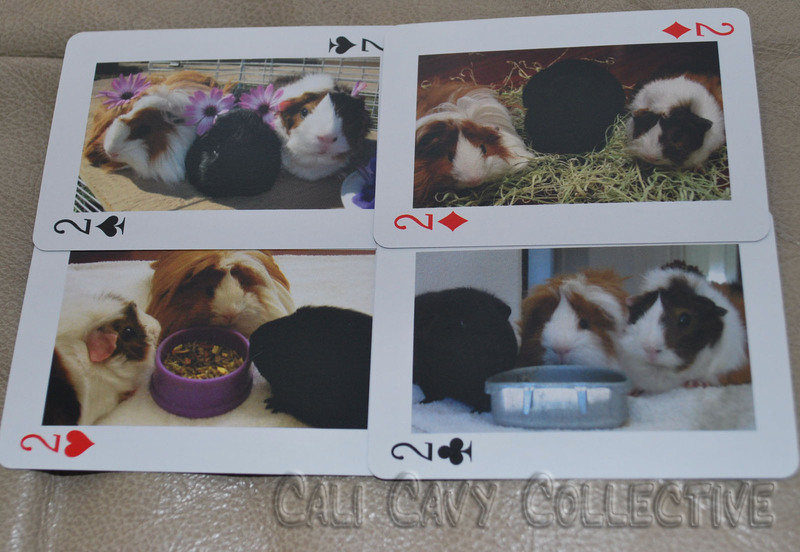 Personally, whee think our cards turned out pretty well (although the same cannot necessarily be said for these pigtures, so give us a wheek if you want better closeups!). 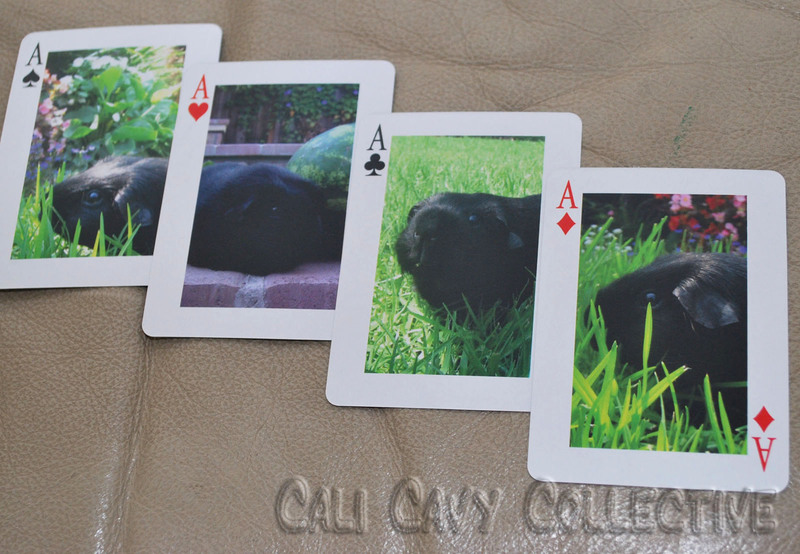 One of Morry's kings next to the back of our deck. 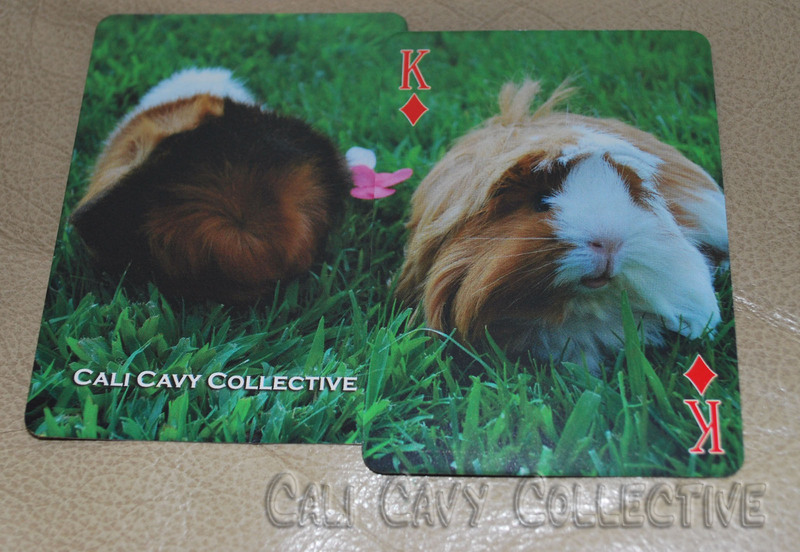 Can you guess who is featured on the back?